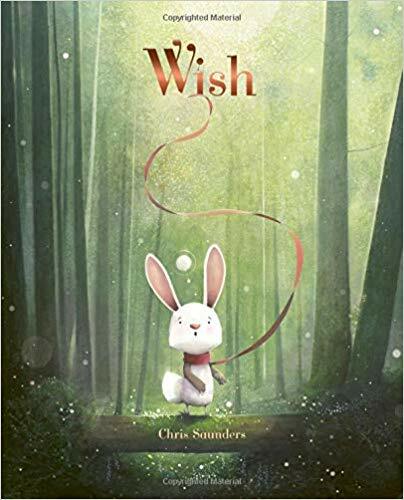 Rabbit has never had a wish before; but one day he gets not just one, but three! 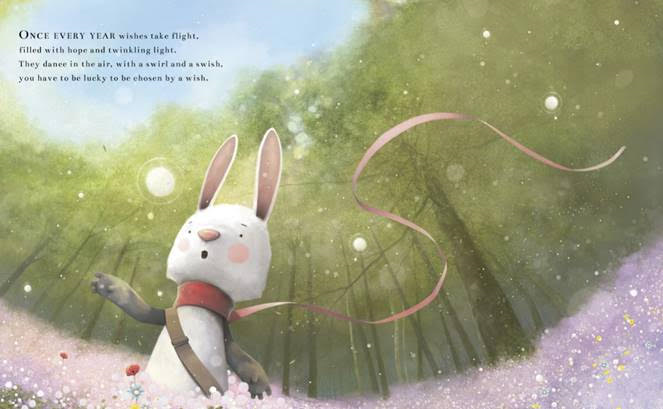 Wish is an adorable story of friendship, kindness and caring for others. A much needed book in times when we hear so much about bullying. Rabbit is a breath of fresh air. He has such a good heart – he is gifted with three wishes in our story but he is not quite sure what to do with the great gift he has been given. Does Rabbit use the wishes for himself? What should he wish for? He decides to speak to his three closest friends to get a good idea of what a wish should be. Rabbit decides to grant his wishes to his friends and he is rewarded in return with a very special surprise. A great reminder that when we put good out in to the world we receive it back. We loved the message of the story and the delivery. It was a great read to our youngest son and really helped us begin that conversation about kindness, helping others and friendships. It was easy to read out loud and to not only be serious but also add a little humour as we acted out the characters (I loved the Fox!). The illustrations were just beautiful. They are whimsical and fit the story perfectly. They really helped to bring the story alive. This is an excellent book for young children that teaches a very important lesson on friendship and kindness. A perfect addition to your home library! This entry was posted in book review, children, childrens books.